California Auto Glass Inc and Window Tint offers high quality window tinting in the northern Las Vegas, NV and Clark County areas. With 20 years experience in auto glass replacement and repair, you trust our expert glass technicians to any autoglass related need – especially window tinting. Our auto glass specialists apply auto glass tint using state-of-the-art techniques and materials, so you can be confident that your new window tint will measure up to the highest safety standards. There are many benefits to having your vehicles windows tinted. A proper tint will help your car’s interior stay cool, as well as protect your skin from harmul UV rays, which cause cancer. Tinting can help protect you in the event of an automobile accident, by helping to hold shattered glass fragments together. A good tint will reduce dangerous glare from the sun – helping to keep yourself safer behind the wheel. And, of course, a window tint can provide the vehicle operator with great privacy. For all of these needs, and more – see us at California Auto Glass Inc and Window Tint. We have over 20,000 new and used auto glass parts in inventory, at both of our Las Vegas locations – we’ve got your fix. California autoglass is your authorized car, truck, boat and construction vehicle glass repair specialist. With a lifetime warranty on installed glass, we offer free mobile service 7 days a week, and we will meet or beat any competitors written price. Se Habla Espanol. Contact California Auto Glass Inc and Window Tint today at 702-878-7002 to ask about our same day mobile glass repair services, or to make an appointment, or browse our website for more information regarding auto glass repair and replacement or mobile glass services. In urgency of a mobile glass replacement Las Vegas service that is reliable? Finding the right auto glass repair experts you can trust isn’t easy. You have probably gone to a particular place to get a windshield chip repair for example. Only as a result to find out that your cracked worsen and grew within days. With California Auto Glass Inc, as a result you will have professional mobile glass replacements done in no time for a low price. We specialize in power window repairs. California Auto Glass Inc and Window Tint offers the most experienced and professional glass, mirror and window replacement services for your automobile, boat, or commercial vehicle in the Las Vegas, NV area. We are not only experts of getting your auto glass replaced, power window fixed or door lashed repaired. We are the masters of customer satisfaction, creating great convenience for our clients for all of their auto glass repair and replacement needs. We offer free mobile glass repair and replacement services to the Las Vegas, NV and Clark County areas. Our professionals will come to your home or place of business and service your vehicle’s glass, window or windshield repair needs. And we are not just mobile – we are fast and flexible. When we receive a call for mobile glass service, we can usually be wherever needed in an hour. Taking the hassle out of your life at no charge. We have over 20,000 new and used auto glass parts in inventory, at both of our Las Vegas locations – we’ve got your fix. California auto glass is your authorized car, truck, boat and construction vehicle glass repair specialist. With a lifetime warranty on installed glass, we offer free mobile service 7 days a week. We will meet or beat any competitors written price. Se Habla Espanol. Follow us on our facebook fan page for mobile glass replacement Las Vegas updates. Contact California Auto Glass Inc and Window Tint today at 702-878-7002 to ask about our same day mobile glass repair services. 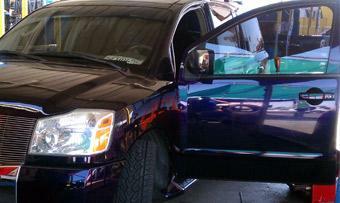 Make an appointment, or continue browsing our site window tinting. We service all car makes and models, and can easily accomodate your need for your commercial or leisure vehicle glass repair needs – and all of our glass installations are guaranteed. We pride ourselves on offering very competitive pricing at the highest level of quality. Contact California Auto Glass Inc and Window Tint today at 702-878-7002 to ask about our same day mobile glass repair services, or to make an appointment mobile glass service or window tinting. Looking for someone who performs top power window regulator fix in Las Vegas and can’t find one? Don’t worry because at California Auto Glass Inc, we deliver and offer affordable power window regulator fix same day. With over 2 decades in the business bringing top quality service and top brands, we ensure to deliver the best installation, repairs and replacements. We specialize in power window repairs and windshield replacements at a cheap price. Don’t believe us, simply look through our comments on Google and read for yourself. A power window regulator has several components that require only professionals to fix. Our auto glass technicians are top experts in the field. We have all your Auto Glass Needs. Servicio de vidrio para todo tipo de carros, camionetas, camiones y vans…. 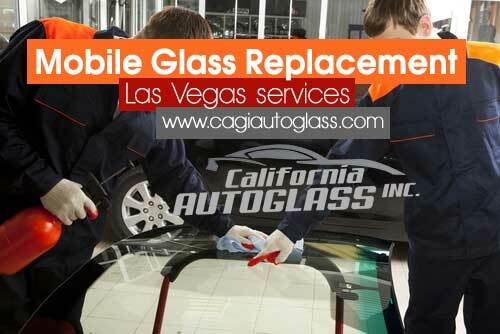 Looking for the perfect auto glass replacement & repair Las Vegas can offer? California Auto Glass Inc is your perfect auto glass specialist to go with. California Auto Glass Inc specializes in all vehicle auto glass replacements with top quality brands. We are well known for our quick and professional service while offering low prices! Don’t believe us, simply pick up the phone and call us to find out! Whether you need sun roof repairs or replacements to windshield crack chip or broken glass. Don’t hesitate to call us today or schedule an appointment. We’ve been in the business in Las Vegas for over 20 years, offering our customers the best prices in the valley. With multiple locations around town, it could be convenient for you to stop by. If you can’t make it, don’t worry, with a simple phone call and you can count on our mobile service. No matter where in town you are, we can come to the rescue. We offer from power window repair, manual window regulator to side glass replacements. WITH THE MOST EXPERIENCE IN THE INDUSTRY ……WE HAVE MORE THAN 20,000 NEW AND USED GLASS IN STOCK ….